Take a ride in the thick jungles of Thailand or hunt treasure in Africa. This elephant can take you on an imaginary safari. 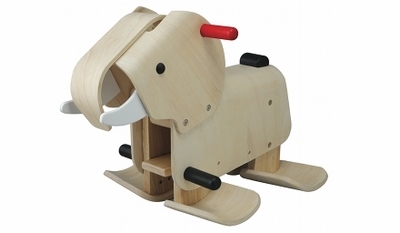 The Plan Toys Walking Elephant moves forward with a rocking motion that makes children feel like they are riding an elephant. Unit measures 17.7" x 27.6" x 20.1". Made of rubberwood and printed with soy ink.